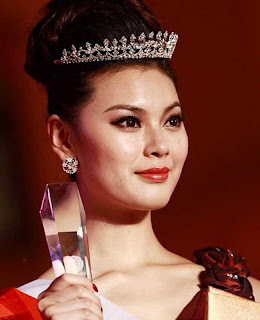 China's Wen Xia Yu was today(18 Aug 2012) crowned Miss World 2012 while India's contender Vanya Mishra could only make it to the top seven. This is the second time Miss China has been awarded the title. Last year's Miss World Ivian Sarcos of Venezuela handed over her crown to Wen at a glittering ceremony held in Dongsheng Fitness Center Stadium here. The 23-year-old Wen is a music student who says she wants to become a music teacher, Chinese media reported. Wales' Sophie Moulds was the first runner-up, while Australia's Jessica Kahawaty was the second runner-up. Though Mishra didn't make it beyond top seven, she did bag the titles of 'Miss Social Media' and 'Beauty with a Purpose'.